Listing software and services that connect into your Amazon or eBay seller account and automate your item setup, inventory feed, cost and pricing calculations, and more — so you can grow sales. Our software will connect with any compatible DMS and pull your inventory daily. We can remove the items you don’t want to sell like oversized or hazardous parts. Based on your preferences we will configure your pricing competitively to get you sales. Once you set-up your account, we do all the heavy lifting. You can stop manually listing and updating your items. Let us automate it for you. Personalized support from from our experienced team ensures you’re successful from setup, to launch, and in production. We always offer free support! ChannelBoost can do all this for both Amazon and eBay, with Walmart and Jet coming in the near future. Did you know: Amazon has surpassed Google as the starting point for product search! 55% of U.S. online shoppers begin a product search on Amazon. 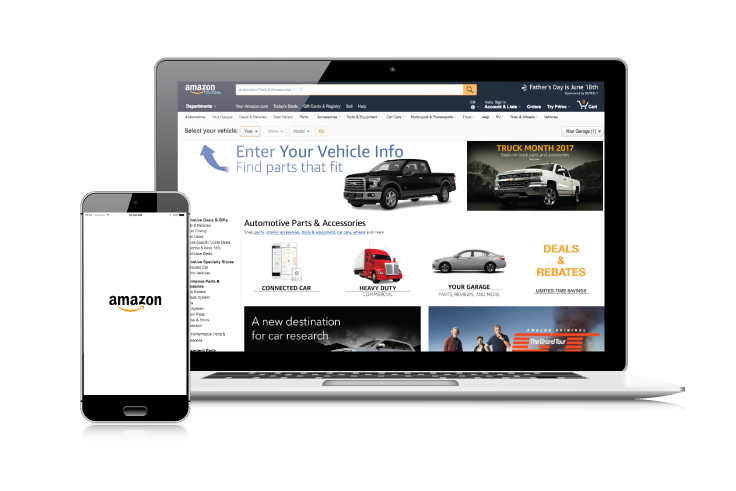 Increase your parts department sales with ChannelBoost, our Amazon and eBay listing software, integrations, and services. Fast setup, no long-term contract, no setup fee. See why we’re the #1 listing tool for auto parts! Hundreds of car dealerships trust our services to power their online revenue and profits. I hired Altos Digital to build and launch an e-commerce site in 2014 and had nothing but great service and support. The build was great and the site was successful so we furthered our growth by utilizing their team again 9 months ago to launch our Amazon store. Again the results have been great and the success of the endeavor was MORE than I expected (this rarely happens). Their team is knowledgable, innovative and very responsive. I would highly recommend their services to anyone looking to enter or improve their online business. Simple price. Packed with value. or 1% of sales, whichever is greater. Bills at signup, and monthly thereafter. *Automatic inventory pull is dependent upon DMS compatability.